The structure indicated is the cuboid bone of the foot. 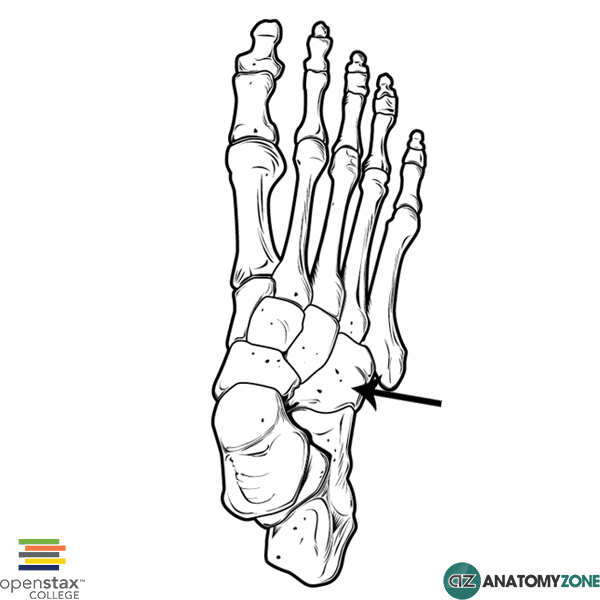 The cuboid bone is the most lateral bone in the distal row of tarsal bones, it is named on the basis of its shape which roughly resembles a cube. The plantar surface of the cuboid bone contains a groove through which the tendon of the peroneus longus travels from the lateral aspect of the foot to insert medially at the base of the first metatarsal and on the medial cuneiform bone. The tibialis posterior muscle inserts onto the plantar surface of the cuboid bone. 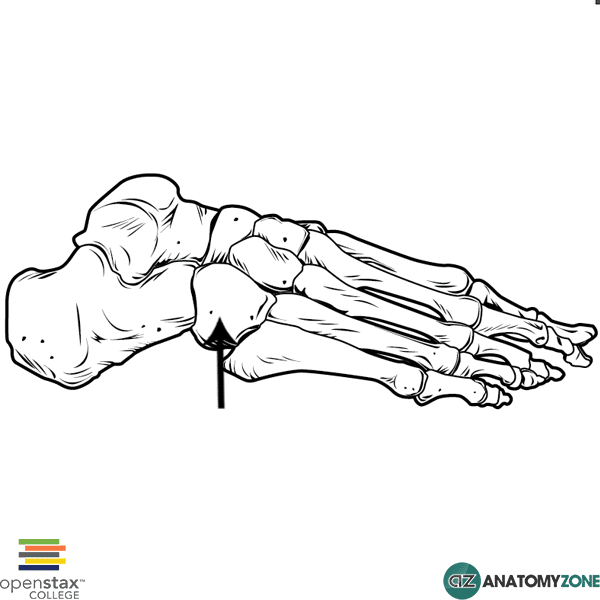 Learn more about the bones of the foot in this anatomy tutorial.